At the water measurement training, participants learn accuracy tips such as making sure the measurement location is level with the weir crest. Clarify reporting requirements for ranches. Understand which meters are appropriate for different situations. 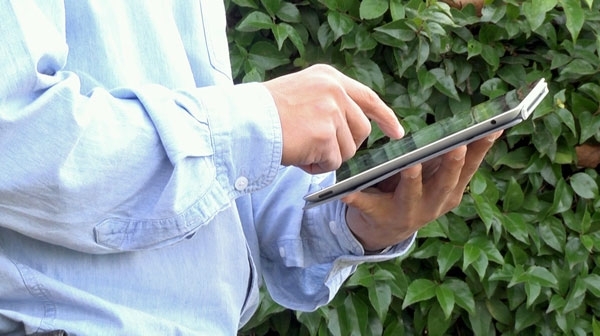 Learn how to determine measurement equipment accuracy. 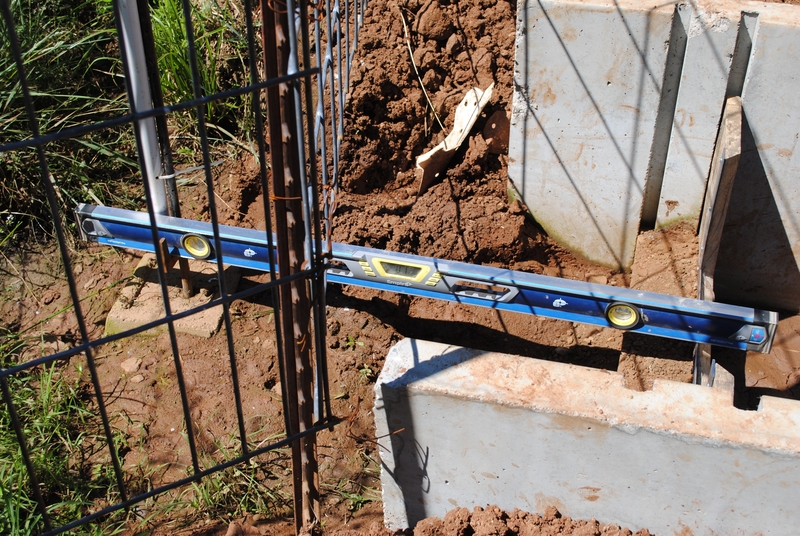 Develop an understanding of measurement weirs. Learn how to calculate and report volume from flow data. Senate Bill 88 requires that all water right holders who have previously diverted or intend to divert more than 10 acre-feet per year (riparian and pre-1914 claims), or who are authorized to divert more than 10 acre-feet per year under a permit, license or registration, to measure and report the water they divert. Detailed information on the regulatory requirements for measurement and reporting are available on the State Water Resources Control Board Reporting and Measurement Regulation webpage. For diversion or storage greater than or equal to 100-acre feet annually, the law requires approval of installation and certification of measurement methods by an engineer, contractor or other approved professional. To make it easier for farmers and ranchers to comply with the law, the California Cattlemen's Association worked with Assemblyman Frank Bigelow on a bill that would allow people to get certified to take the measurements themselves. Assembly Bill 589 became law on Jan. 1, 2018. This bill, until Jan. 1, 2023, allows anyone who diverts water and has completed an instructional course on measurement devices and methods administered by UC Cooperative Extension, including passage of a proficiency test, to be considered qualified to install and maintain devices or implement methods of measurement. The bill requires UC Cooperative Extension and the water board to jointly develop the curriculum for the course and the proficiency test. What can California, Israel and Australia learn from each other about drought? 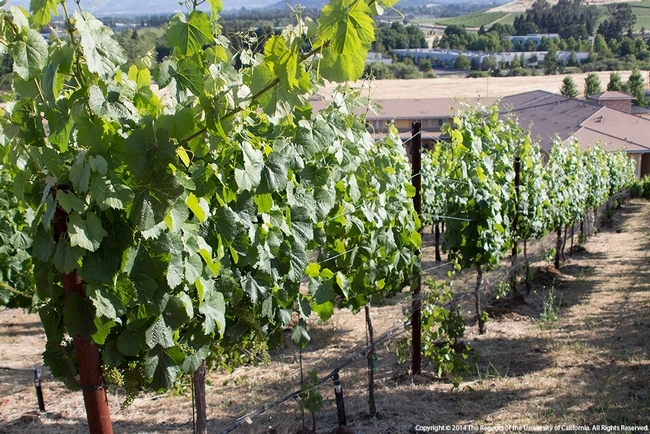 This vineyard is irrigated with recycled water. Drought management experts from Israel and Australia will join U.S. scientists in California for a workshop in Modesto on Jan. 12 and 13. Growers, crop consultants, irrigation practitioners, state agency members and others are invited to participate. The two-day event, “Proven Solutions to Drought Stress: Water Management Strategies for Perennial Crops with Limited and Impaired Water Supplies,” is designed to foster conversation on a variety of drought management aspects and strategies. The drought workshop will be held at the Modesto Centre Plaza at 1150 9th Street in Modesto. 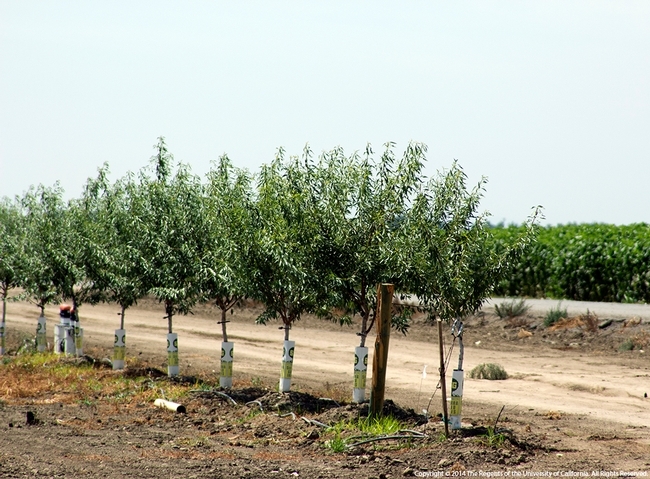 This young almond orchard uses drip irrigation. 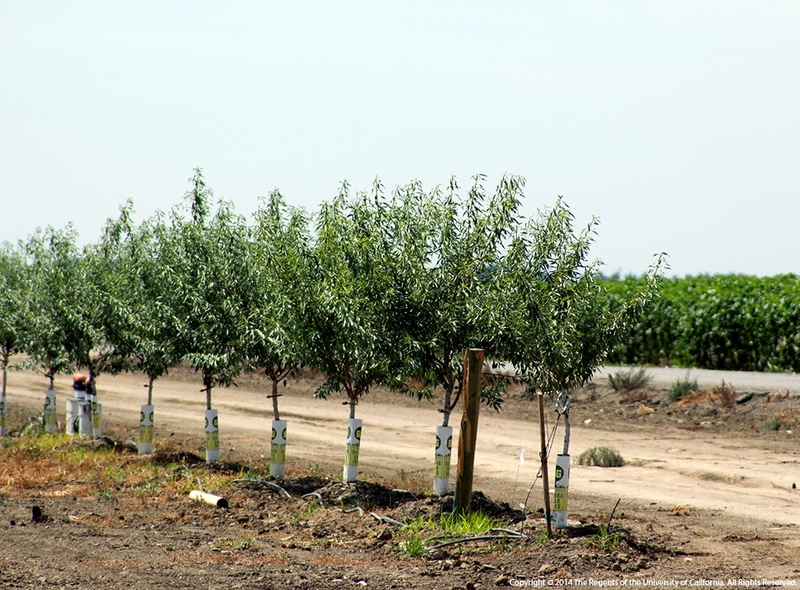 Over the past 20 years, USDA and University of California scientists have developed several new approaches to help growers adapt to using water more efficiently. Several UC Davis, UC Cooperative Extension and California Department of Water Resources scientists will discuss their research approach and findings in California. Other speakers include Shabtai Cohn, head of Israel's Agricultural Research Organization Soil, Water and Environmental Sciences Institute, John Hornbuckle, associate professor at Deakin University in Australia, and other researchers from Israel and Australia. This workshop is sponsored by the USDA Agricultural Research Service, UC Agriculture and Natural Resources (UC ANR), UC California Institute for Water Resources and the Israel Ministry of Agriculture's Agricultural Research Organization. 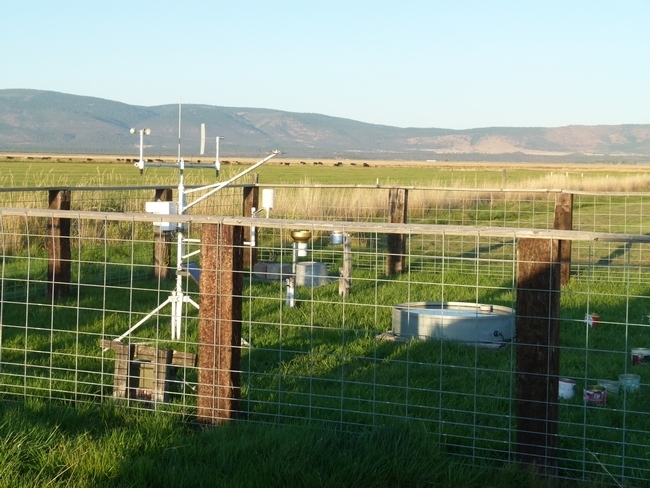 CIMIS (California Irrigation Management Information System) weather stations provide data for calculating crop water requirements. The workshop will include breakout sessions to discuss water management strategies for specific crops including grapes, almonds, pistachios, citrus and avocados. Registration is $80 and includes lunch for both days. Dec. 18 is the deadline for early registration. After Dec. 18, registration is $120 until Jan. 1, 2016, and $150 after Jan. 1. There will be no on-site registration. 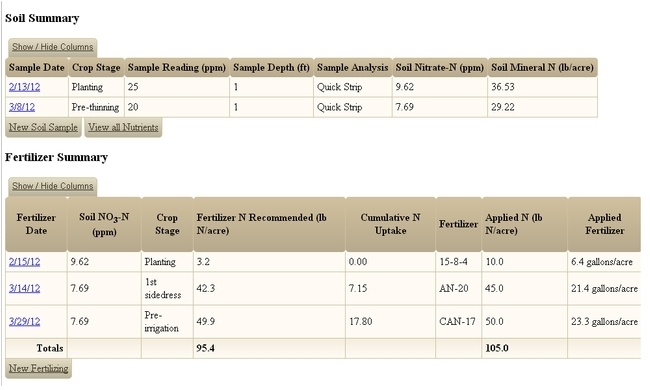 Certified crop advisers can earn continuing education units: Soil & Water Management 12.0 CEU and Crop Management 0.5 CEU. To see the agenda and to register, please visit http://www.droughtmgt.com. Lodging is available next to the Modesto Centre Plaza at the DoubleTree Hotel at 1150 9th Street in Modesto.